Apple’s iPhone 5s and iPhone 5c models have been on sale for two weeks now, but you may be waiting for the perfect time to get your hands on one (or both) of these new iPhones. If so, your time has come. A banner published by Best Buy Mobile (BBYM) attests to a sale starting this Sunday, October 13th through Saturday, October 19th whereby you can trade in any old smartphone and get a $100 off either new iPhone of your choice (the iPhone 5s or 5c). There are a few caveats to this sale, however: first, you are eligible for the $100 discount if your phone is in working condition and undamaged (no cracked screens or water damage, for example). Next, the $100 discount is only available for those who look to sign themselves up for a two-year contract. If you’re a prepaid customer, you are the unfortunate casualty in this Best Buy deal. One thing you should remember with this deal is that you need not own an old iPhone to take advantage of it; if you own an old Android device (say, a Galaxy S2 or a Motorola Electrify M, for example), you can still bring these in and receive the $100 discount. However, you must look to purchase an Apple iPhone; this deal is not available for those who want to purchase an Android smartphone. Apple’s iPhone 5s and iPhone 5c continue Apple’s proud tradition of providing smartphones that so many people love (according to Apple’s website). The iPhone 5s continues the success of the iPhone 5 but adds a champagne color option, 64-bit, A7 processor, as well as Touch ID and an in-built fingerprint scanner for $199 with a two-year contract. 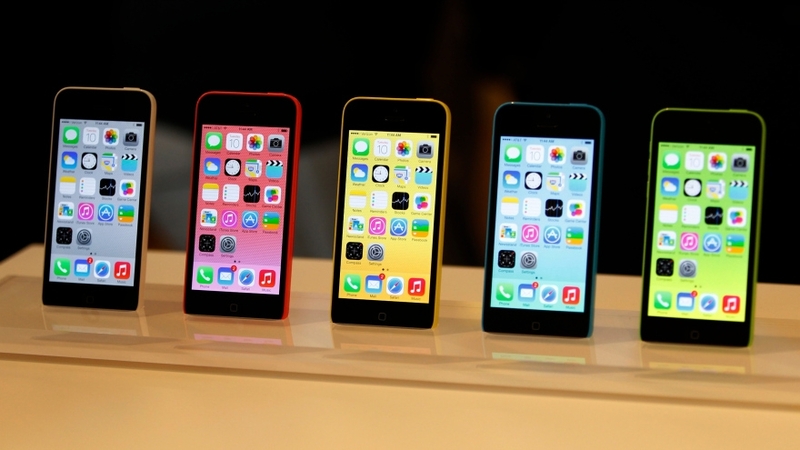 The iPhone 5c comes with an array of colors (red, green, blue, yellow, and white) and costs $99 with a two-year contract. Taking advantage of this new Best Buy deal to come will allow you to walk out of the store with a free iPhone 5s or 5c. You may not want to spend $100 or more for an iPhone with Christmas around the corner (not to mention Apple’s upcoming iPad mini 2 and iPad 5 announcement on October 22) and this may be your best chance yet of getting your hands on a new iPhone. Best Buy’s sale will start this coming Sunday and go through next Saturday. Any takers?